In our performances we use a visual approach in our storytelling. 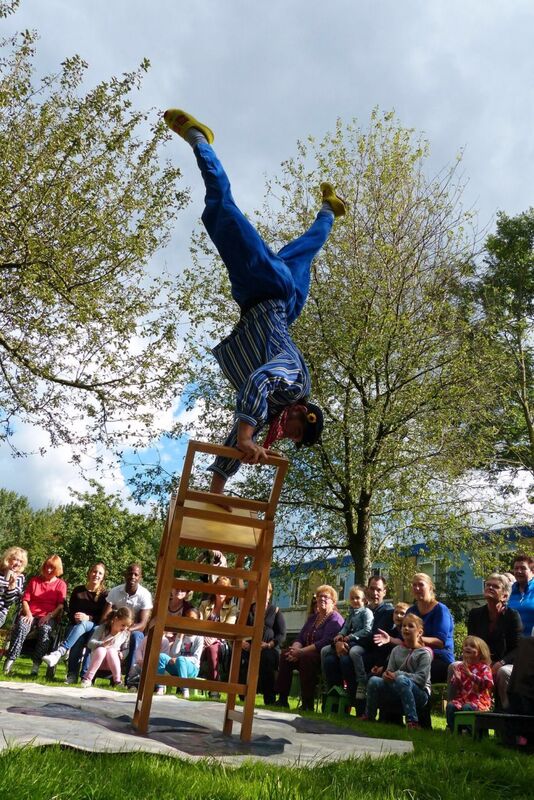 Dutch elements are combined with universal characters and situations which make our circus and theater very appropriate for intercultural events. As we use many different levels in our performances our shows can be enjoyed by young and old alike. For many years we have performed world wide at all kinds of events. We have no problem with performing in unusual spaces (see picture at bottom) as long as we have 2.5 m clearence / height. Organising a Dutch Exhibition with a small cast or tight budget? We can bring you entertaining programs that are easy to organise as well as a variety of smaller activities with low level input.